1 – You don't do what you said you would. The quickest way you can lose trust is to say you’ll be somewhere at 3 p.m. and then not be there until 3:30. Or, if you say you’ll send an email or call someone on a certain day, and then you don’t. 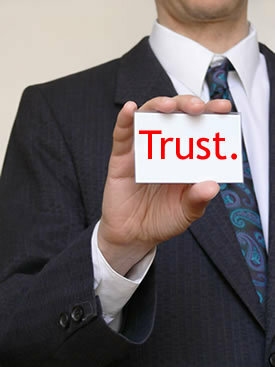 Unmet promises are a big way to start eroding trust. If you say you’re going to be somewhere at 3 p.m., be there at 2:59 p.m. If you say you’re going to email tomorrow – do it. If you promise the name of a good landscaper, get that name from your phone immediately and text it to them. Your client will know they can count on you to do what you say you’re going to do. That’s far more important than most people realize.